Are you looking for the best hostels in Rome? There are dozens and dozens of Rome hostels in Italy’s capital city, but a good chunk of them aren’t really worth your money. Luckily, we’re here to help you pick the very best Rome hostel to make your visit to the Eternal City as memorable as possible. Rome, The Eternal City and the Capital of the World is probably on every traveler’s bucket list. 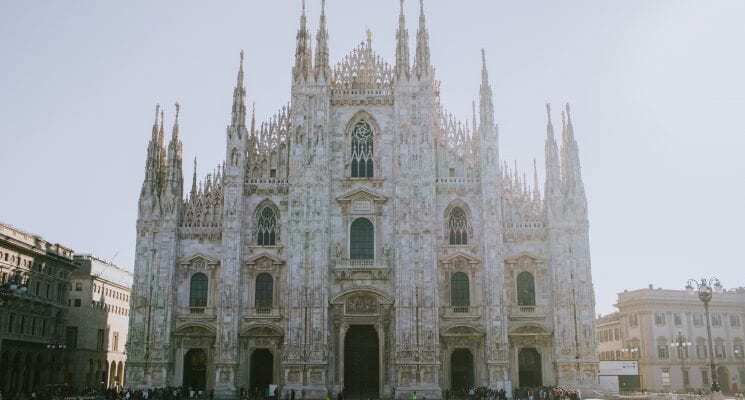 Home of the Colosseum (one of the seven wonders of the world), and the smallest country in the world (the Vatican), Rome will impress you with world famous Italian cuisine, cobbled streets, countless cafes, and (random fact) 280 fountains. Once capital of the world (and still called that by some folks), Rome is rich in history, culture, and architecture. If you are not a history buff you can enjoy a diverse cultural scene with thousands of events each year. Let’s not forget famous Italian fashion scene – enjoy shopping in malls and designers boutiques or visit one of the vintage markets. Rome should be definitely part of everybody’s Eurotrip but the Eternal City can also be a huge drain on your budget. It’s also a city that is filled to the brim with accommodation options, some which are obviously better than others. We have prepared a list of some of what we think are 5 of the best hostels in Rome. Each of these Rome hostels is unique and offers something for everyone: female travelers, party animals and eco-conscious travelers. We have put together this list based on what we personally expect out of a great hostel in Rome. Clean rooms, comfortable dorm beds with power outlets, secure luggage storage, friendly atmosphere that encourages interaction (but doesn’t force it), and a communal kitchen are all super important aspects of Rome hostels in our eyes, and we prioritize them when suggesting a place to stay. All of these are factors when it comes to making our selection of the best hostels in Rome. So don’t waste any more time. 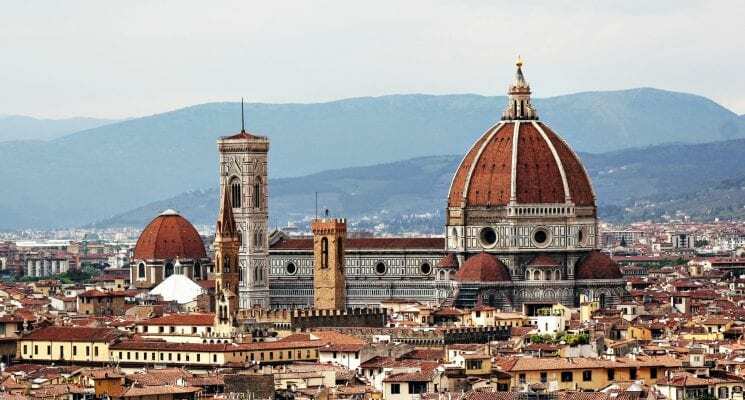 Book your trip to Italy and Rome and stay in one of these amazing hostels! 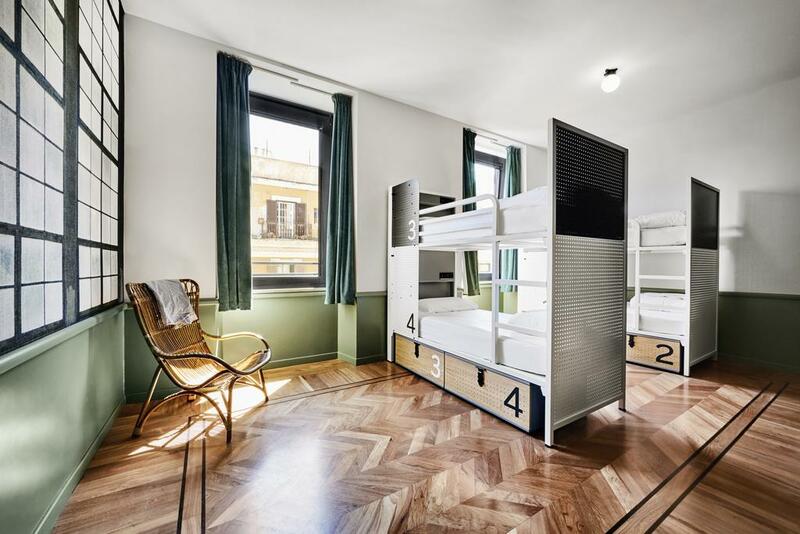 Generator Hostels are famous across Europe for being among the best (and biggest) hostels in a bunch of great cities. It’s also one of the best hostels in Rome. This wonderful Rome hostel is centrally located, situated on the top one of the seven hills of Rome. The hostel was build in a converted in 19-century building, and is just a short walking distance away from central Roma Termini station and the Colosseum. Bus and metro stations are conveniently located corner. The basilica of Santa Maria degli Angeli e dei Martiri is located just the next door. Just across the street from Generator guests will find Mercado dell’ Esquilino, a lively food market where you can immerse yourself into fresh locally grown Italian food. This giant Rome hostel isn’t what we’d call intimate. There are 78 rooms available, spreading across 7 floors. Dormitory rooms have internal shared bathroom, beds are equipped with a privacy divider and a private outlet. Free Wi-Fi is also available throughout the hostel, as it should be. Among the amenities guests can enjoy is a deli-style cafe, an onsite bar with great music, and a chill-out lounge. Generator also has a cool rooftop terrace where you can get a view of the city and toast with your new friends with some yummy Prosecco. Clean, efficient, stylish and comfortable the Generator Rome is easily one of the best hostels in Rome. 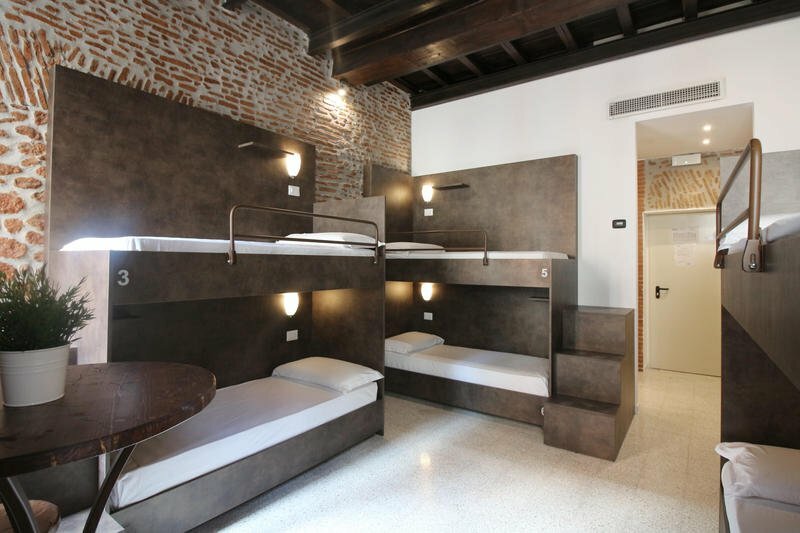 Click here for more information, independent reviews, or current prices for the Generator Rome hostel. If you a solo female traveler in Rome looking to meet fellow female backpackers, travelers, adventurers, or travel Goddesses Hostella hostel in Rome is the right place to be. Hostella offers modern accommodations with 4 bed dorms and private rooms, and is great choice for solo female travelers and small groups of girls. 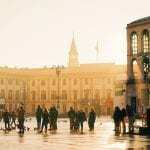 Female travelers love this Rome hostel for its friendly and knowledgeable staff and clean facilities. AC and heating system is available in all rooms and common areas, keeping things comfortable in summer and winter. Other amenities include Wi-Fi and hairdryers (you know how much these can come in handy ladies). There are plenty of board games available in the hang out lounge to keep you entertained before bed, a book exchange, and even small breakfast is included in the price. Staff also organize occasional dinners which are great opportunity to connect with others, there is also amazing outdoor terrace where you can relax and enjoy the quite atmosphere in lively city of Rome. The all-woman Rome hostel is located about a 25 minute walk from the Colosseum and 400 meters from the Termini Roma station. Friendly staff, comfortable accommodations, and a chill vibe all combine to make Hostella the best hostel in Rome for female budget travelers. Click here for more information, independent reviews, or current prices for Hostella in Rome. If you are looking to party in Rome, or you prefer to stay in a youthful and lively atmosphere that provides endless opportunity to mingle within international travelers the Yellow Hostel is for you. Yellow Hostel prides itself on being among the “cooler” party hostels in Rome. Parties led by talented DJs and other activities are organized just about every night. And once the hostel party end the friendly stuff can advise you where to continue with your sleepless nights in Rome. For those who want more peaceful environment there are private rooms available in this Rome party hostel. 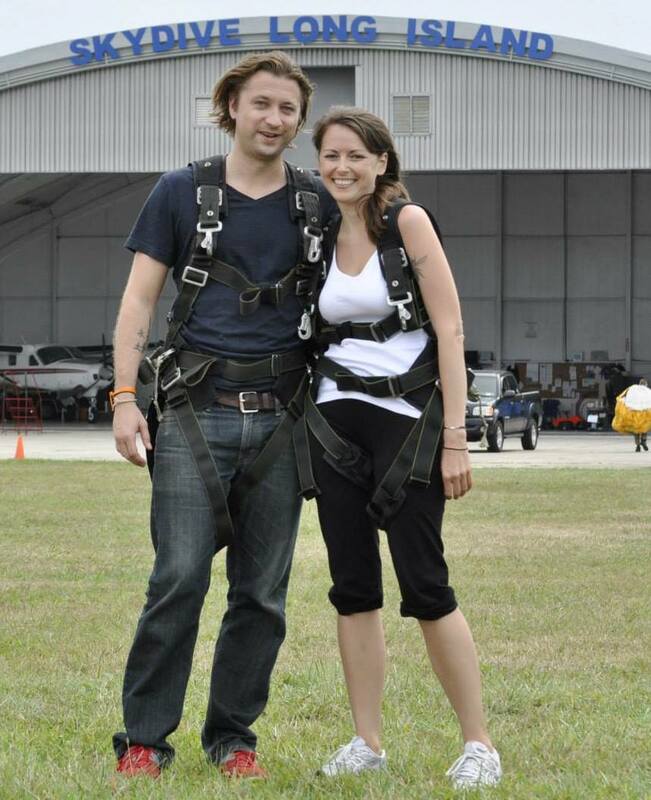 Each private room include private bathroom, air conditioning and heating system, safety deposit box and hairdryer. Guests can rent an iPad for free at the front desk to check email and social accounts. When you are ready to unplug and chill the Yellow Hostel has a patio or outdoor lounge for relaxing and/or socializing. There is a gourmet restaurant available on-site and a la cart breakfast which starts from 2.50 EUR. Location wise this Rome hostel is decently central, situated pretty near the Termini Central station. The Colosseum is 2 metro stops away. 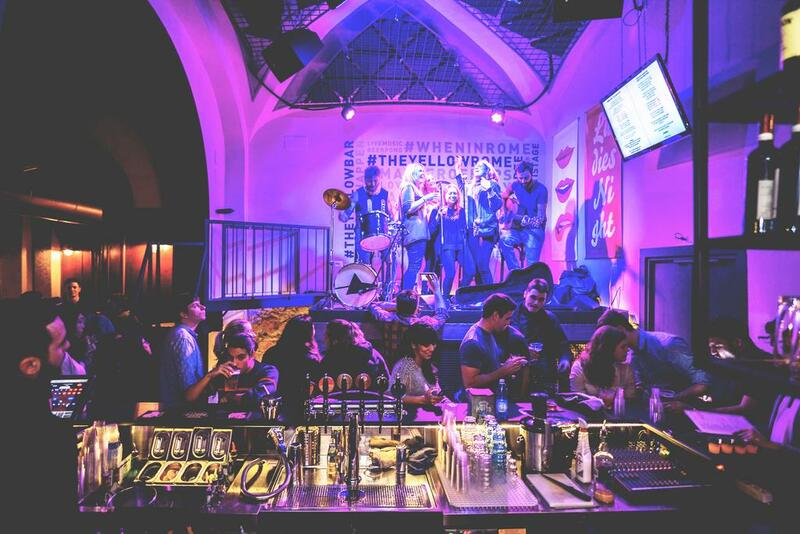 If you are a solo traveler, or are looking to party and make new friends than the Yellow Hostel might just be the best hostel in Rome to meed your needs. It safe to say that Yellow Hostel is among the best party hostels in Rome as well. 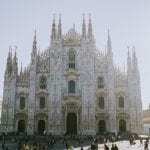 Click here for more information, independent reviews, or current prices for Yellow Hostel in Rome. The Beehive hostel is located two blocks from central Terminal Roma station. You will fall in love with this cosy, friendly and stylish eco-hostel which has been welcoming travelers since 1999. 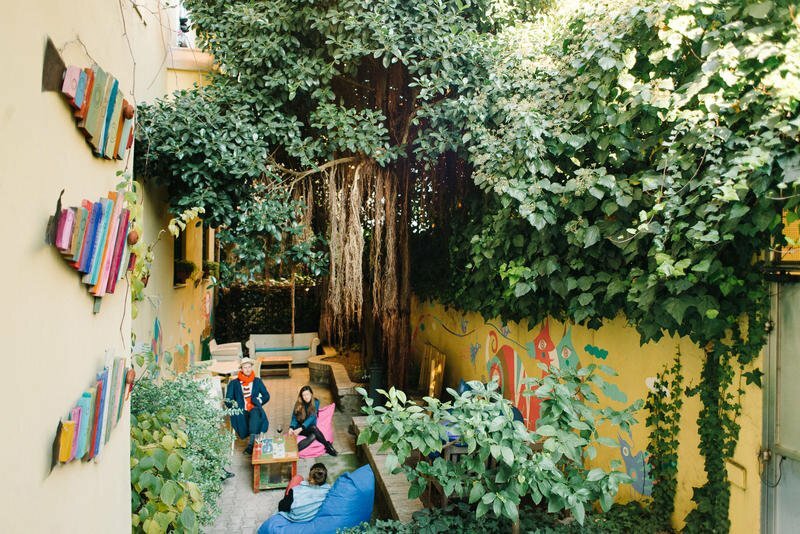 This eco-friendly Rome hostel is home to an organic vegetarian cafe where you can order breakfast. The hostel offers weekly and bi-weekly family style dinner which you can enjoy in a lush green garden decorated with murals. Fancy free wine? You’re in luck. Beehive hosts “Wine Thursdays” and the first glass is on them! Additionally they have yoga, massage, and esthetician services on request. On the downside there is no kitchen in the hostel, but a refrigerator and kettle are available. This Rome hostel used ecological cleaning supplies and recycled paper products, and they strive to use organic & local products. Throughout the property you will notice many pieces of furniture made from reclaimed wood, for example. The Beehive offers their own free app with recommendations and storytelling events are organized every month. All of this makes the Beehive one of the most unique and best hostels in Rome. Click here for more information, independent reviews, or current prices for The Beehive in Rome. New Generation Hostel Santa Maria Maggiore is praised by many travelers because of its great location in Monti, Rome’s oldest district. 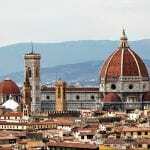 The hostel is named after Basilica Papale di Santa Maria Maggiore, which is located only 300 from the property. New Generation Hostel boasts a great location for those interested in exploring the Eternal City’s ancient ruins and culinary experiences. The Colosseum can easily be reached by subway from this Rome hostel. 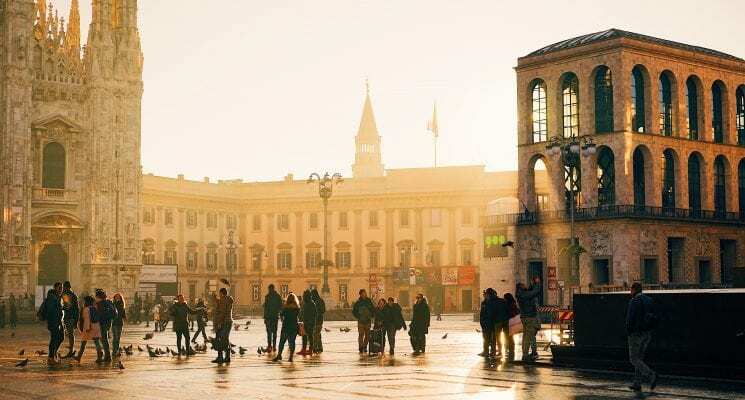 On the weekends visitors can stroll through Mercato Monti Urban Market where they can find some vintage clothing and accessories as well as discover some new Italian designers. Guests of this Rome hostel can enjoy free WiFi throughout the property, and there are plenty options for socialization with fellow travelers: inside garden, bar with restaurant and fully equipped kitchen. 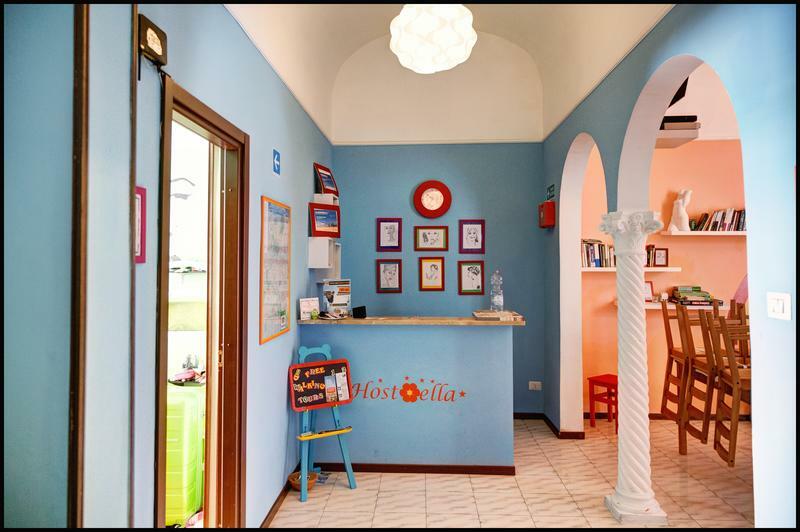 There is a 24-hour front desk at this great Rome hostel. All rooms are fully equipped with private lockers, fridge and table, each bed comes with a beside table, light and electric socket. All of these factors combine to make New Generation one of the best hostels in Rome. Click here for more information, independent reviews, or current prices for the New Generation Hostel. Well there you have it guys, our list of 5 of the best hostels in Rome. We hope you enjoy your visit to this historic city. As always happy travels and we’ll see you on the road! So helpful, thank you for the specific and right to the point info. Exactly what I needed! Really happy that the article was helpful 🙂 Enjoy Rome!